It is now Tebow Time! The Denver Broncos finally gave Tebow the keys to the offense and named him their starting quarterback. The Tim Tebow discussion may be the most polarizing topic in the NFL today. Personally, I like Tebow as a quarterback. You can break down his technique and throwing motion all you want, but you cannot deny that the kid is a winner and supreme motivator. Grant it we need to see more of him on the NFL level, but from what we have seen I am encouraged. One thing Tebow can do well that will give defenses fits is scramble and throw on the run. It isn’t always pretty but Tebow makes plays and wins games. I just wonder if Denver is the right place for him? John Elway and John Fox clearly don’t see him as their QB of the future and are merely appeasing the masses by making him the starter. They also traded away Tebow’s top target and the 2010 receptions leader Brandon Lloyd. Only time will tell but I feel that the Broncos are setting Tebow up failure. Let the Tebow experiment begin! What are your thoughts on Tim Tebow as a NFL quarterback? We’re suggesting that the Broncos are going to be picking up at least one highly touted, well ranked WR out of the 2012 draft; courtesy of the Cincinnati Bengals. That would help validate making Tebow the starter now. Dump-offs to McGahee will aid his confidence now as well. For the next few months Tebow will just be a work in progress until the receiving corps is shored up next year via trade and/or the draft. 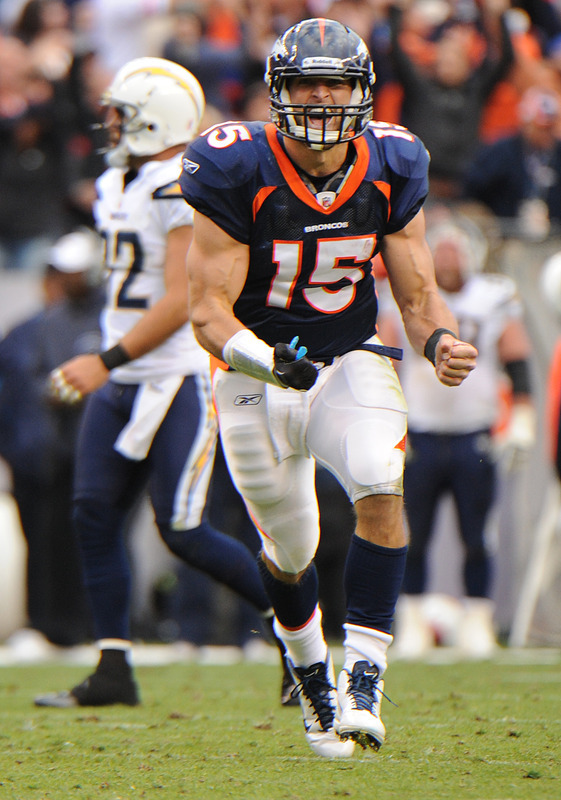 We don’t believe Tebow is going anywhere anytime soon, else Denver and Fox & Elway will all have a mutiny on their hands.